Dedication, honesty and hard work are critical in Joyce Chen's approach to helping you achieve your real estate goals. She always puts her clients' needs and best interests first, priding herself on giving her all throughout the transaction. Joyce learned extensive Customer Service and Relationship Management skills in her many years of entrepreneurship managing her flourishing, family-owned Manhattan-based Hair Salon. 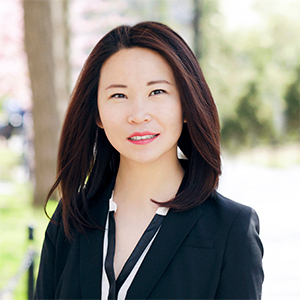 Specializing in Residential Sales, Rentals and Investment Properties, Joyce has considerable knowledge of Manhattan and the boroughs, including Astoria and Long Island City in Queens. She's lived in NYC's hottest up-and-coming neighborhoods, such as Clinton (aka Hell's Kitchen), and is currently proud to call Long Island City home. Joyce's strong international background helps her understand the concerns of a client's relocation or move to a new neighborhood. Inspired by her recent purchase of a condominium in Long Island City, Joyce has dedicated herself to helping others fulfill their dreams of home ownership. She's proud and confident to expertly and safely navigate clients through the complex NYC Real Estate maze. Her motto is, "A home is waiting for you out there. Together we will find it and make sure it fits your needs, budget and lifestyle." Originally from mainland China, Joyce knows the culture well and speaks fluent Mandarin. She attended University in Guangdong, South China, and can effortlessly communicate in Cantonese as well. Joyce transferred to Iowa Wesleyan College in the U.S.A. where she graduated with a double Major with degrees in both Textile and Design Engineering (in China) and Business Administration (in U.S.A.).